The disturbance of soils, like other phenomena of environmental pollution, encountered in so many areas all over the world, has become a subject of extensive concern and has led to a vast amount of literature in the field of enzymology, too. 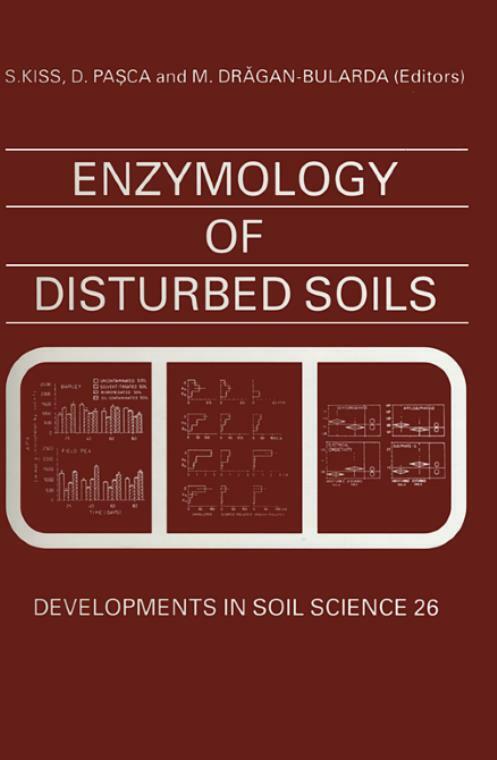 The book is the first comprehensive and updated review of the enzymological literature on three great categories of disturbed soils, including their remediation. The volume consists of three sections: I. Enzymology of oil-contaminated soils; II. Enzymology of soils affected by industrial emissions; and III, enzymology of technogenic soils. Within each section the reviewed studies are grouped by country. The volume will be of great value to soil scientists, environmental scientists, conservationists, and many other scientists in these and related fields. Part I. Enzymology of Oil-contaminated Soils. Part II. Enzymology of Soils Affected by Industrial Emissions. Part III. Enzymology of Technogenic Soils.